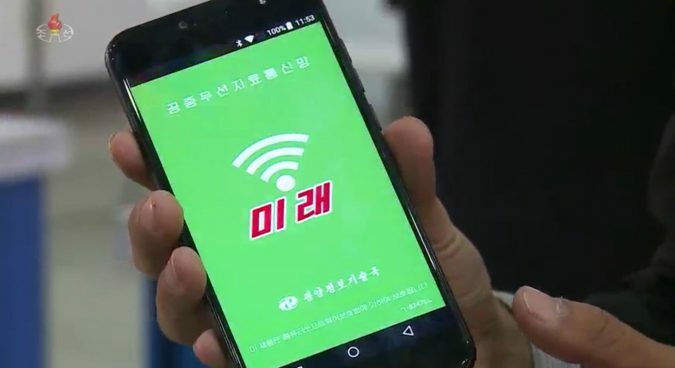 A public WiFi network that can be used on a recently-released smartphone appeared at a national information technology exhibition in Pyongyang in October, footage aired by North Korean state-run broadcaster Korean Central Television (KCTV) last week showed. Last month’s 2018 national exhibition of IT successes saw Pyongyang’s Arirang Information Technology Exchange Company – which manufactures the Arirang-series smartphone – set up a booth for visitors to experience the new WiFi network. Footage shows the network, known as the “Mirae (future) public free wireless data network,” is accessed through a mobile app developed by the Pyongyang Information Technology Bureau. “Users who have joined… can browse and access news and materials on science and technology by accessing homepages… at any place and time in the vicinity of ‘Mirae’ public free wireless data networks,” a description on the app’s sign-up page visible in the footage reads. 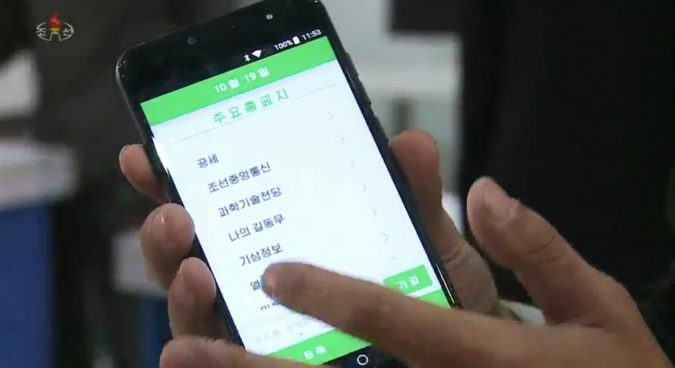 The state-run media Korean Central News Agency (KCNA), the Sci-Tech Complex’s website, a Netflix-style service called My Companion, and weather information can be accessed through the app, as can previously-unreported websites Yeolpung and Gongse. “High-capacity multimedia materials including movies and songs can be downloaded at a fast speed,” the report continues. 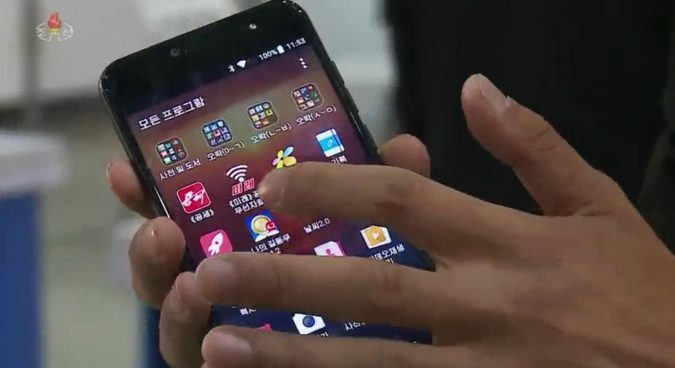 Company technician Hwang Yong Jo told KCTV in the footage that the Arirang 171 smartphone — first unveiled in March — improves user convenience by enabling people to access the internet on-the-go. 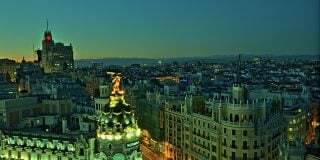 Users would need to use a SIM Card to access the Mirae network, he added. 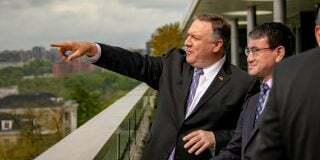 One source said the new technology was not yet in wide use in North Korea. “Others in Pyongyang or in Sinuiju haven’t heard of it yet or have any idea how it works,” a regular visitor to the DPRK told NK News, saying that a new type of SIM card was needed to access the WiFi network. This is not the first time that the Mirae WiFi network has been reported on by North Korean state-run media, however. July saw online outlet the DPRK Today report that the Chunggu Haeyang (Marine) Technology Exchange Company had manufactured a WiFi-capable Tablet PC, now available for purchase in stores in Pyongyang. North Korean ruling party organ the Rodong Sinmun can be accessed through the network, the report added, as can online-shopping outlet Manmulsang, video-on-demand service Manbang, Mokran video, the Sci-Tech Complex website, and Yeolpung. North Korean students can also take courses from Kim Il Sung University and Kim Chaek University of Technology, take exams, and download lectures. 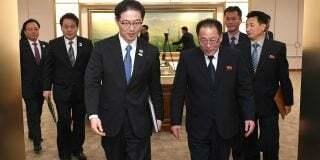 A photo provided by DPRK Today claimed the Tablet PC can reach a download speed of 70Mbps. 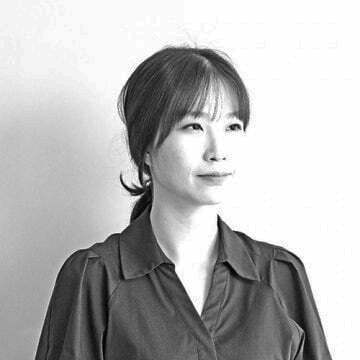 Technician Ri Un Hyang told the newspaper the company had developed the network back in 2016, and that it had been launched the WiFi network in September last year. Mirae WiFi networks were first installed on Pyongyang’s Mirae Scientists Street, the report continued, and in the vicinity of the Kim Chaek University of Technology. While wireless internet is rare in the North, it is available in some central Pyongyang locations, NK News understands, including in the lobby of the Potonggang Hotel. Subscribe to read the remaining 666 words of this article.